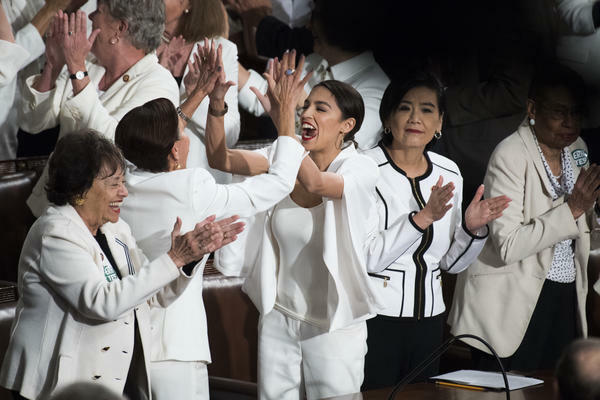 Reps. Alexandria Ocasio-Cortez, D-N.Y., right, high fives Nydia Velazquez, D-N.Y., as Democratic members celebrate in the House Chamber. 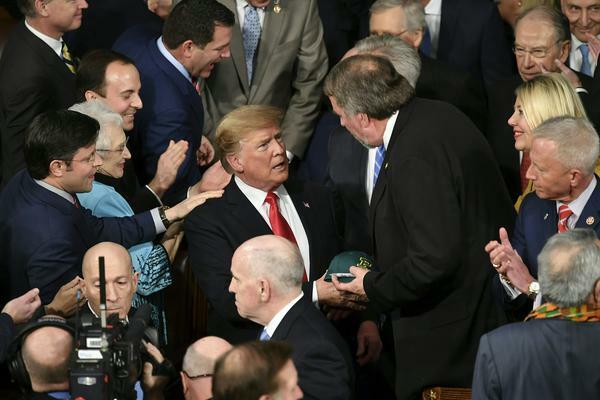 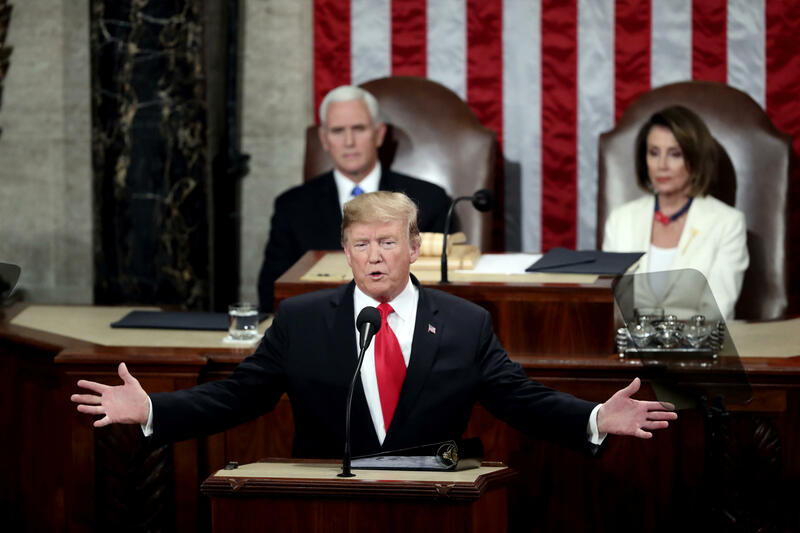 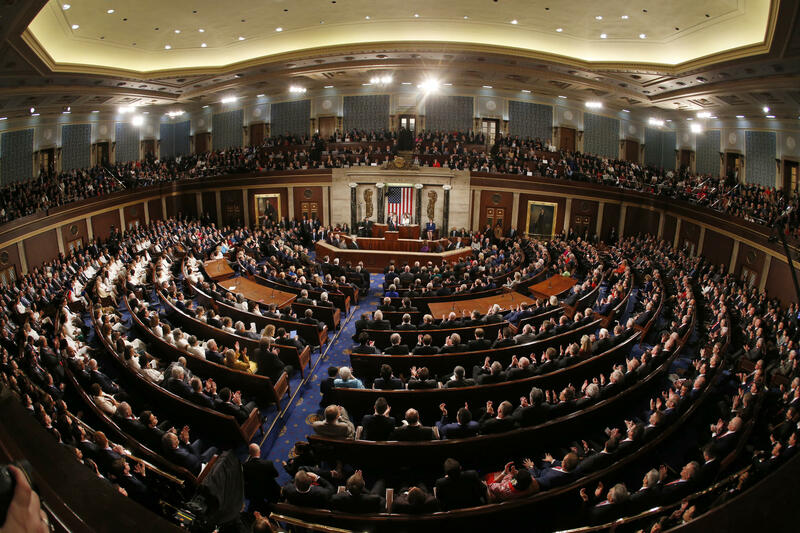 President Donald Trump delivers his State of the Union address to a joint session of Congress. 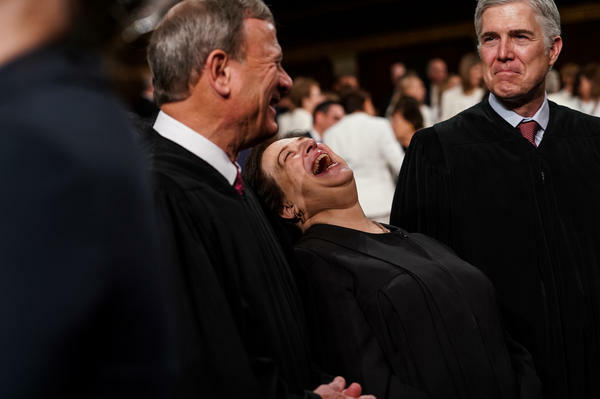 Supreme Court Justices John Roberts, Elena Kagan and Neil Gorsuch attend the State of the Union address. 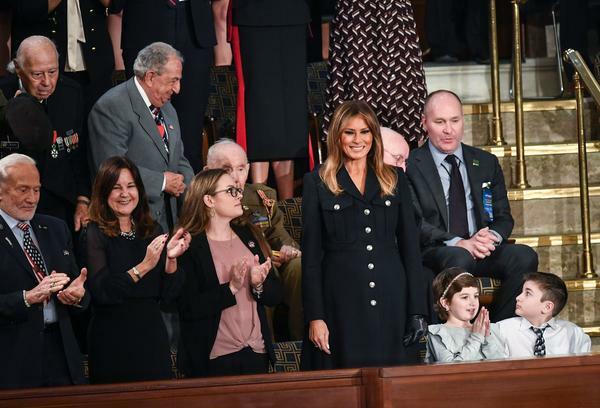 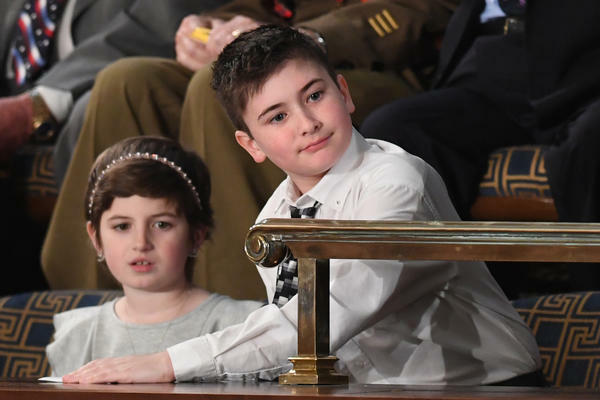 Special guest Grace Eline, left, and sixth grade student Joshua Trump, right, attends the State of the Union address. Senator from New Jersey Cory Booker greets other lawmakers ahead of the State of the Union address. 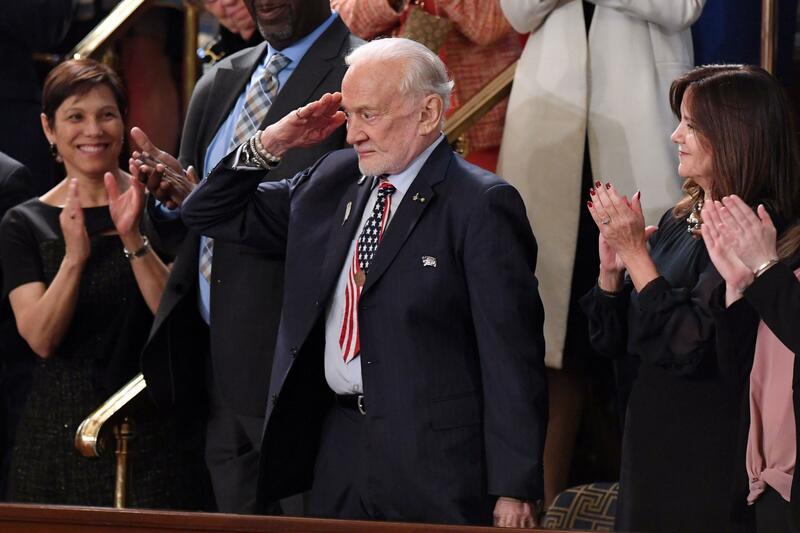 Former NASA astronaut Buzz Aldrin salutes as he is recognized by President Trump during the State of the Union. 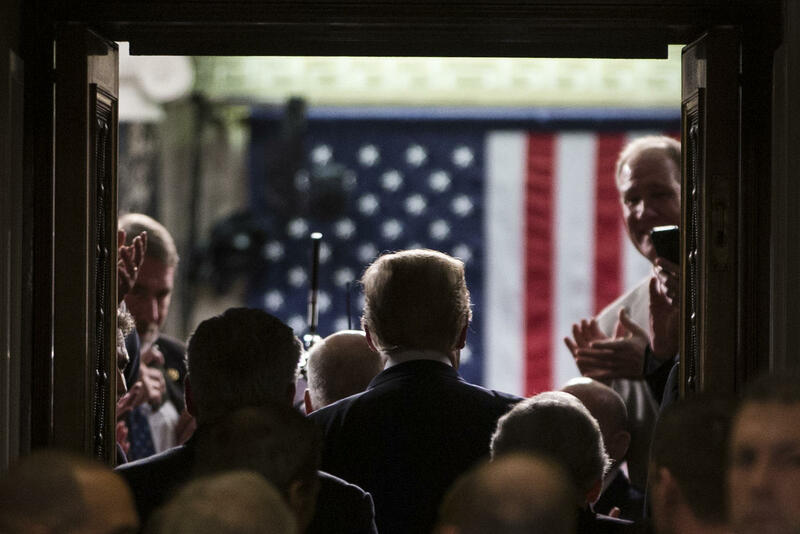 President Trump arrives before delivering the State of the Union address. 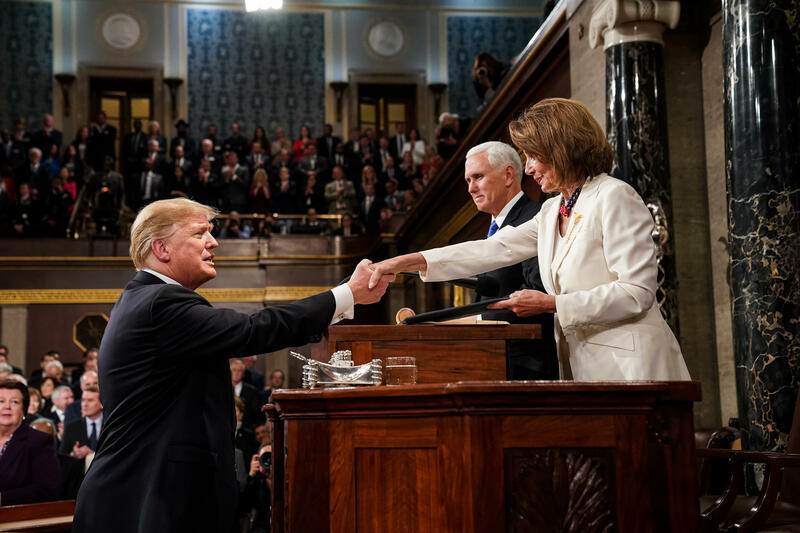 President Trump shakes hands with Speaker of the House Nancy Pelosi while joined by Vice President Mike Pence. First Lady Melania Trump, center, is greeted, surrounded by special guests of the President. 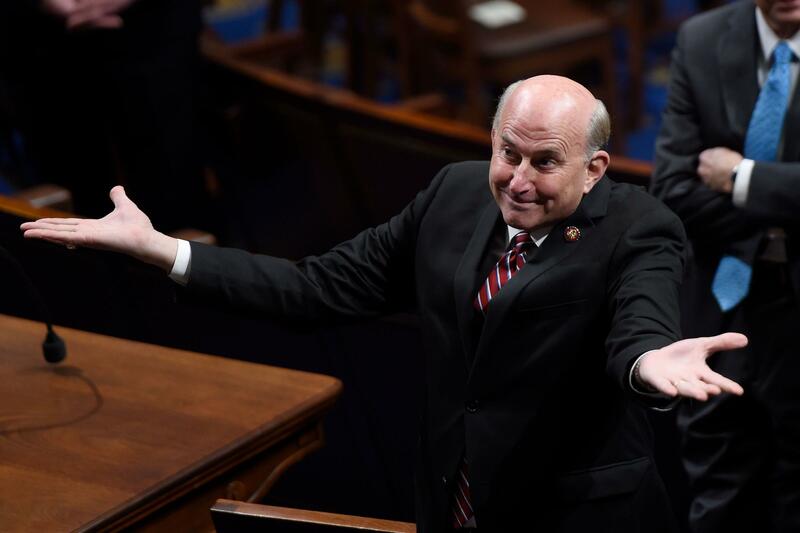 Rep. Louie Gohmert (Tx-R), arrives for the State of the Union address. President Trump arrives to deliver the State of the Union address. NPR reporters annotated Trump's remarks live, adding context and analysis. 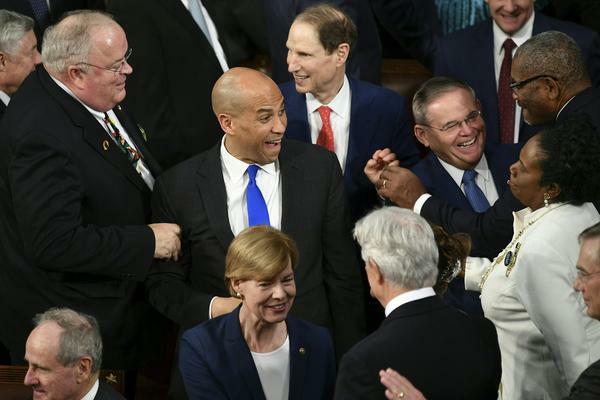 Read a fact check of the Democratic response, given by Stacey Abrams, here.